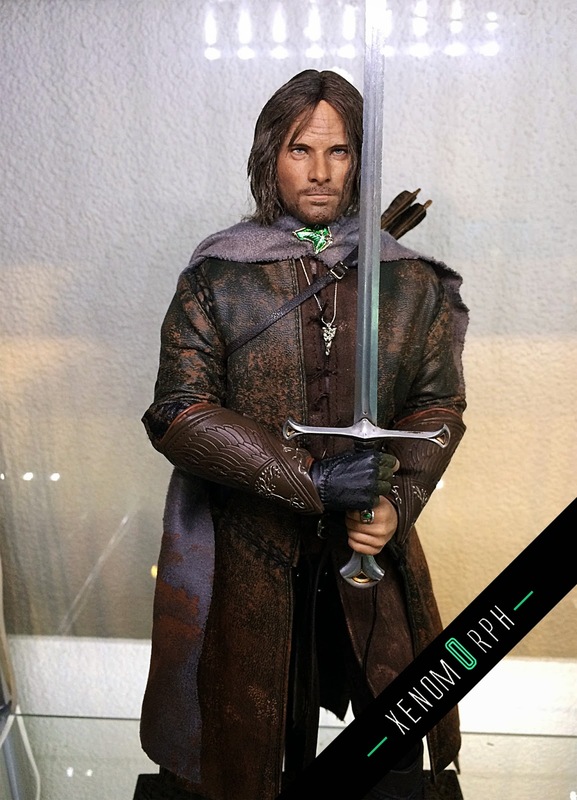 A lonely strider arrived in my 1/6 collection - my first Lord of the Rings collectible. 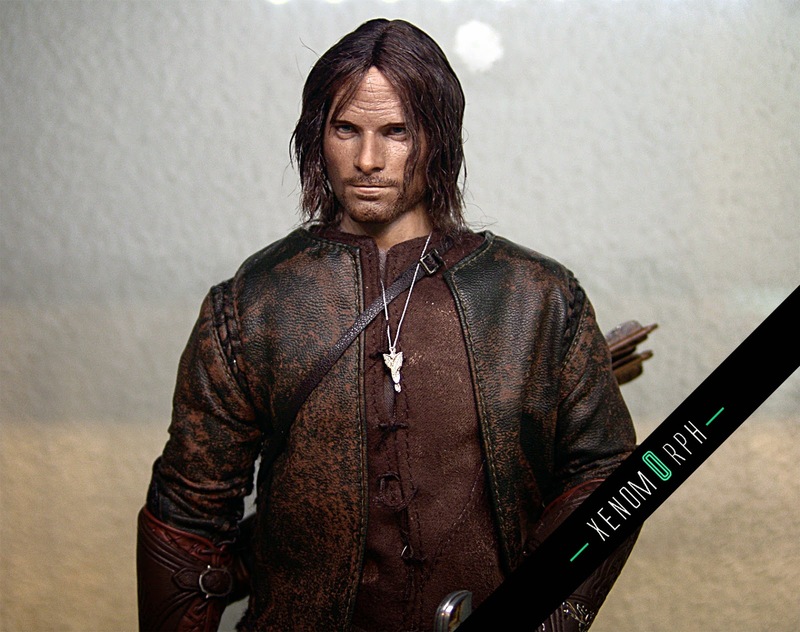 After seeing the Aragorn figure of ACI Toys personally in hand at my friends collection I knew instantly that I need it. 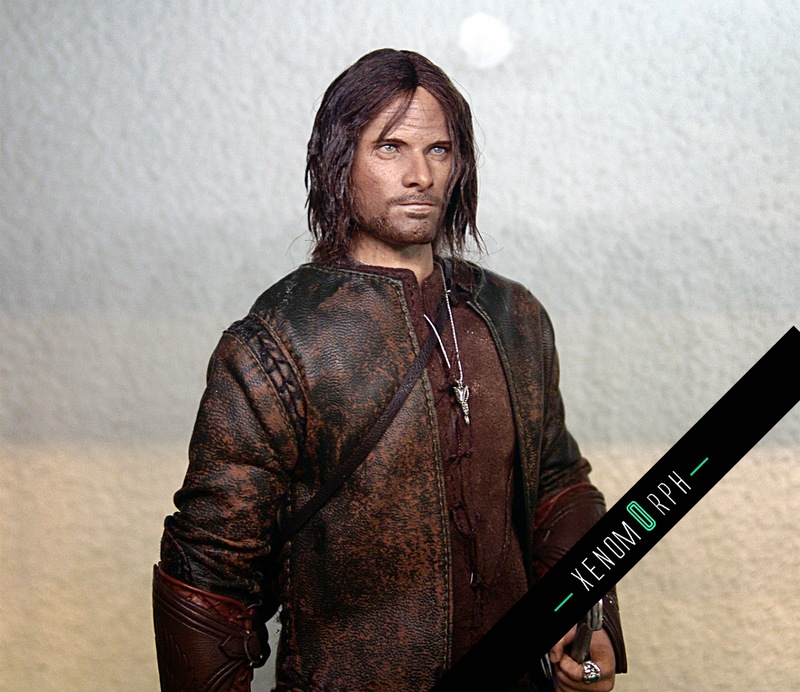 The beauty of the headsculpt can't really be captured or described on photos, and probably for a lot of Lord of the Rings fans it will be either "like" or "hate". 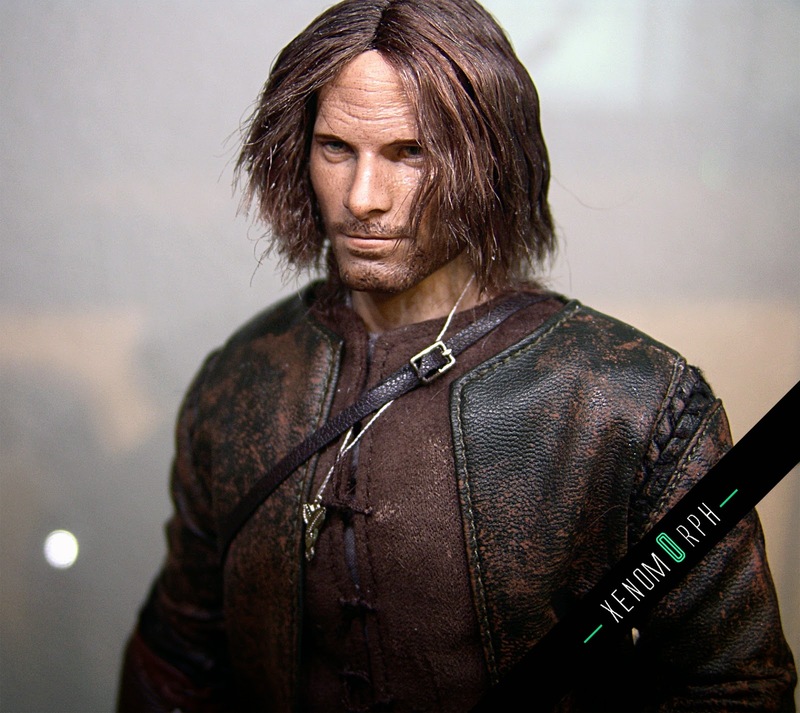 For me it's an easy like and I felt impressed by the likeness of Viggo Mortensen of ACIs sculpt. There is one major drawbacks though: Right out of the box for most of the figures you won't receive an acceptable hairstyle. The wig ACI went for is too long and needs a bit of a haircut. If you're brave you can do this by yourself, but be careful and don't cut in straight cuts and take your time. 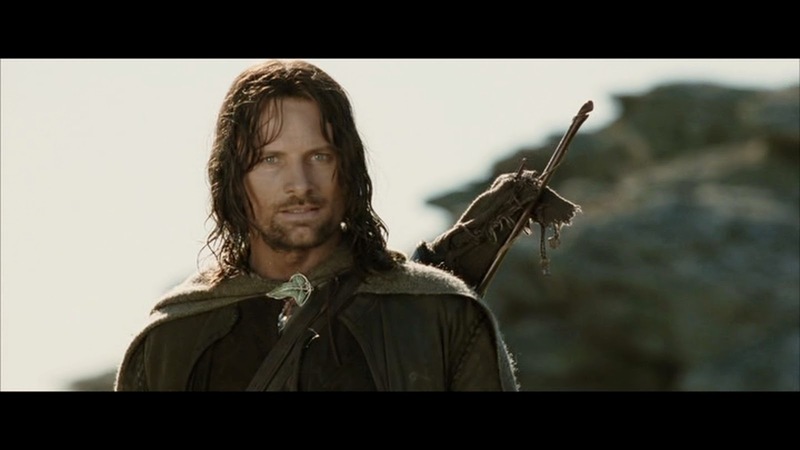 Don't cut too much and use some reference photos of Viggo in that movies. 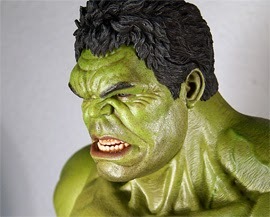 After having the hair styled the right way I feel ACI toys did the right decision to use real hair, not sure if it would have looked that cool with sculpted hair if you get the curls right. 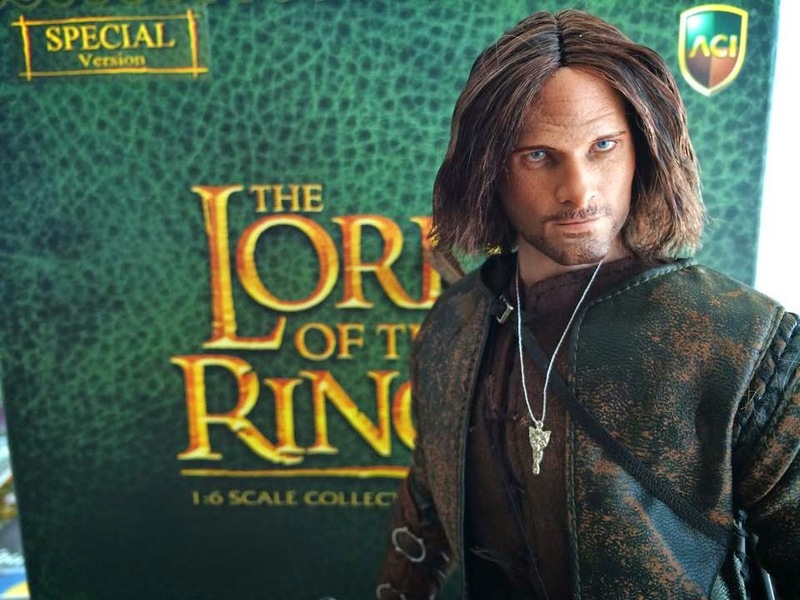 Unfortunately this will be the last release of ACI toys in their Lord of the Rings line. Which is really a pitty since this was quite a nice release. I might pick up the Ringwraith as well. 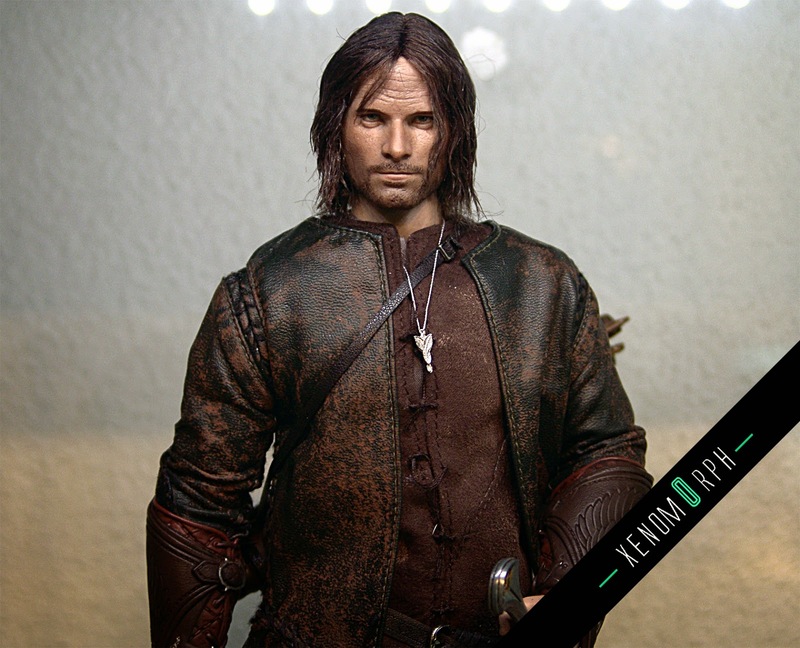 Lets see what Asmus Toys can pull off with the license further down the road - looking at past Asmus LOTR products the human characters felt always a bit awkward sculpted. 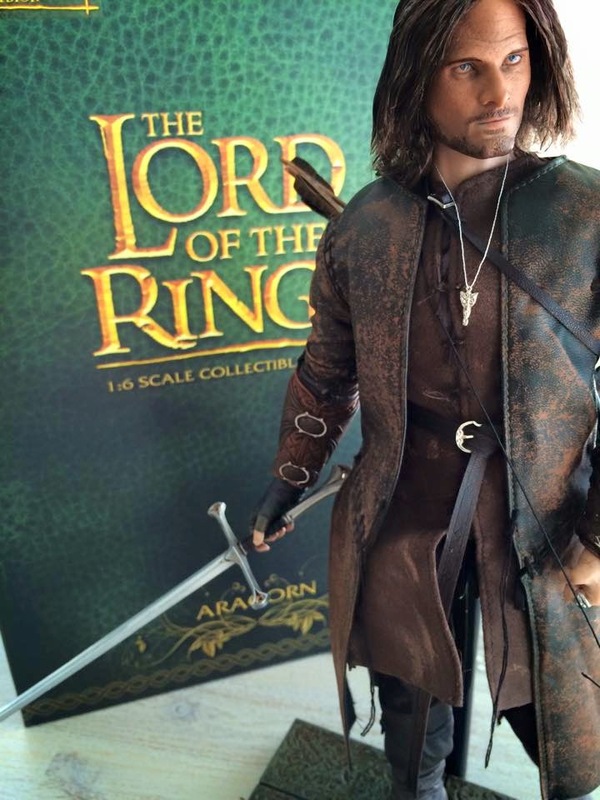 Aragorn by ACI will cost you by the time I'm writing this already about USD 350 and he seems to be sold out everywhere in Hong Kong already. 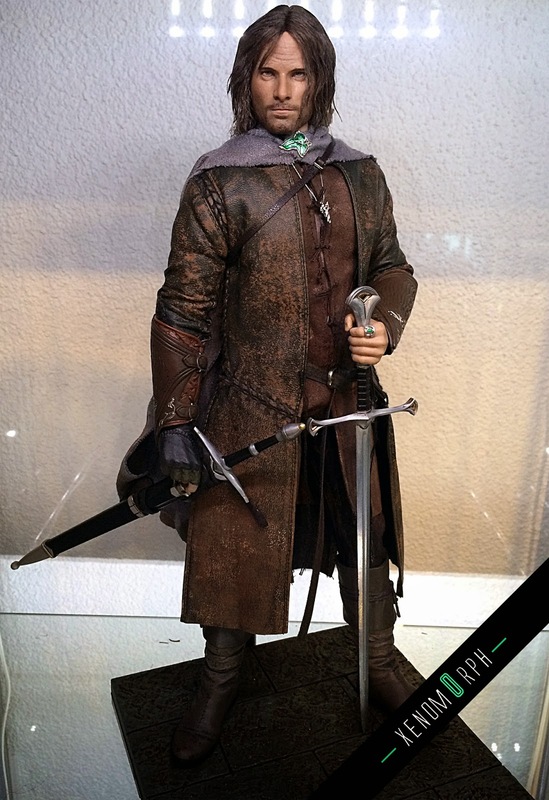 If you get him be sure to pick up the special version with Anduril. 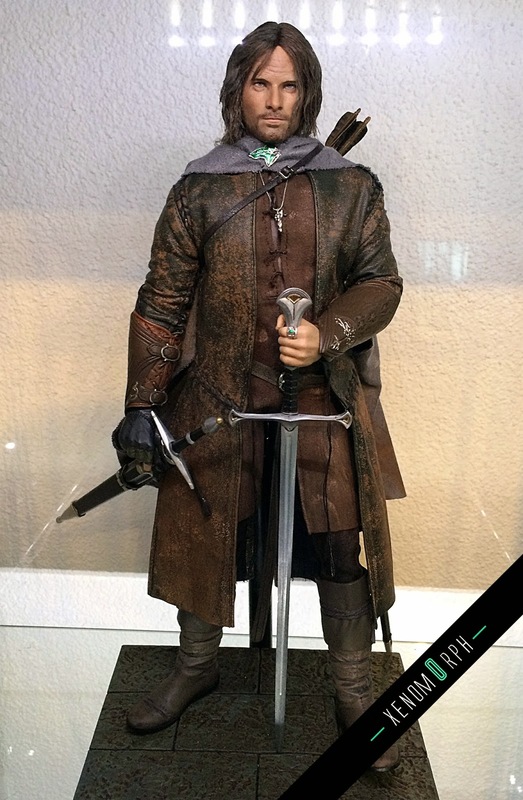 All blades you get with the figure are made out of diecast - pure awesomeness!